Dramatic differences in pay between professional and unskilled women suggest that 20th century feminism may have left the working-class behind, a new study shows. Researchers at the Institute for Public Policy Research (IPPR) analysed data from the 1958 National Child Development Study, the 1970 British Cohort Study, and Understanding Society. They found that while the pay gap between the ‘average woman’ and ‘average man’ has decreased over the past 50 years, the differences in earnings between women from different social classes remain far greater than the differences between men. The study shows that women born in 1958 and working full-time at age 41-42 earned almost 35 per cent less than men born in the same year. However, professional women earned nearly three times as much as women of the same age who were in unskilled jobs. In comparison, professional men earned just under one and a half times more than men in unskilled jobs. 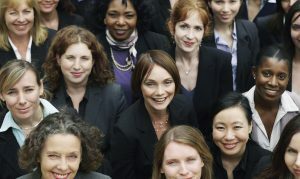 The pay gap between men and women born in 1970 dropped to 29 per cent (at age 38-39), but professional women still earned on average 80 per cent more than unskilled women, compared to a difference of 61 per cent between professional and unskilled men. The research also found that having a degree is a bigger advantage to women in the workplace than it is to men. Women born in 1958 who held university degrees earned 34 per cent more at age 41-42 than those who did not. Women born in 1970 who were university-educated earned 32 per cent more than those who were not. By contrast, men born in 1958 who had degrees were likely to earn just 14 per cent more in later life than those without, and 17 per cent more if they were born in 1970. Findings from the report showed that the gender pay gap for men and women in their 20s has almost disappeared, but that it opens up in their 30s and 40s, especially for women with children. Women who postpone having children are more likely to earn higher wages than those who become mothers at an early age. The researchers also noted a marked shift towards men taking more responsibility for domestic work and childcare. However, as in the workplace, this advancement seems to be limited to the professional classes. The proportion of professional mothers who said they did the majority of housework fell by 15 per cent between the 1958 and 1970 cohorts, compared to just seven per cent for working class women. Fathers are also spending more time with their children – but again this has occurred mostly among those who are highly educated. At the same time, an analysis of data from the 1958 cohort, the 1970 cohort and Understanding Society shows a growing trend for people to choose a partner from within their own social class. This suggests that the advantages of men and women taking more equal responsibility in the home may be limited to better-off households. Dalia Ben-Galim, IPPR Associate Director, warns that advances for women at the top of the career ladder are masking inequality at the bottom. a healthier representation of women in culture that is not limited to women in high profile roles, but focuses on breaking down stereotypes and portraying women in a wide variety of roles and situations.